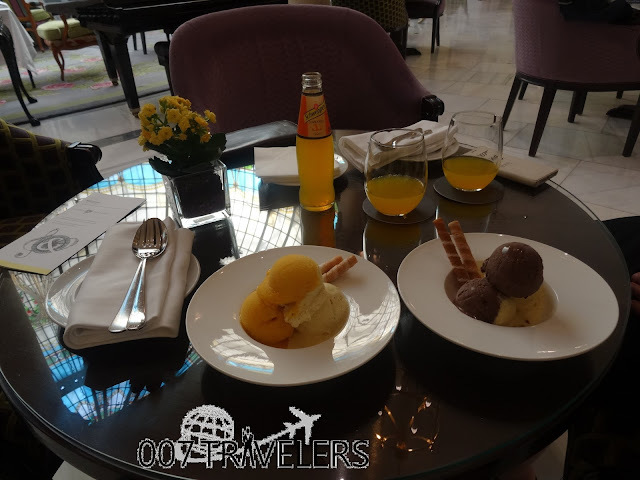 We woke up in our room in four star hotel Santo Domingo and went downstairs to have a breakfast. In the morning it was not yet that hot, so we went out and explored the neighbourhood of the hotel. 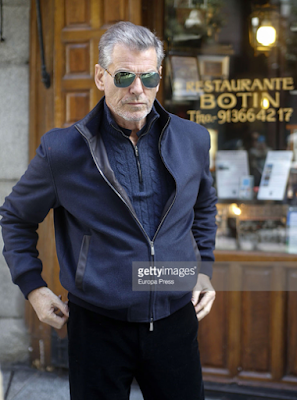 Soon, we decided to take a metro and headed towards the famous Museo del Prado, which is one of Pierce Brosnan's favourite museums in the world. 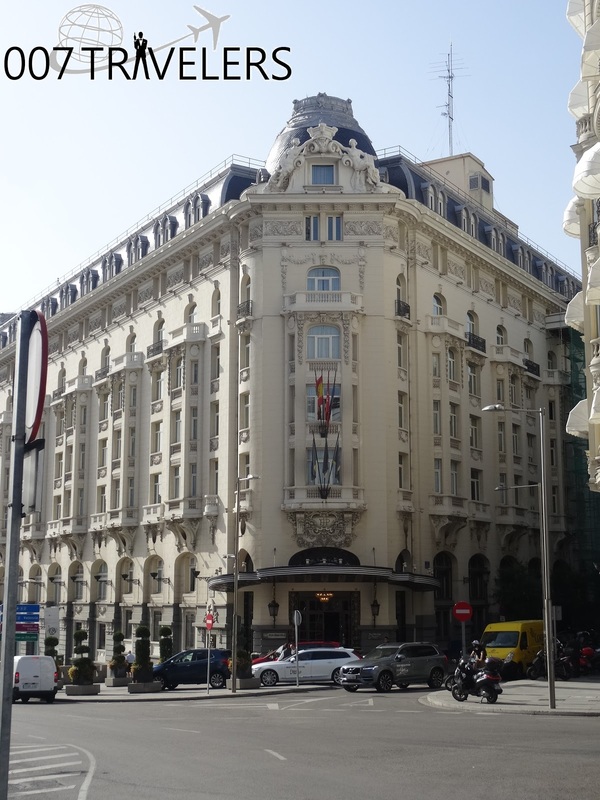 On the way there was a splendid The Westin Palace, Madrid hotel (Plaza de la Cortex, 7), which was a location for 1975 Sean Connery film "The Wind and the Lion". 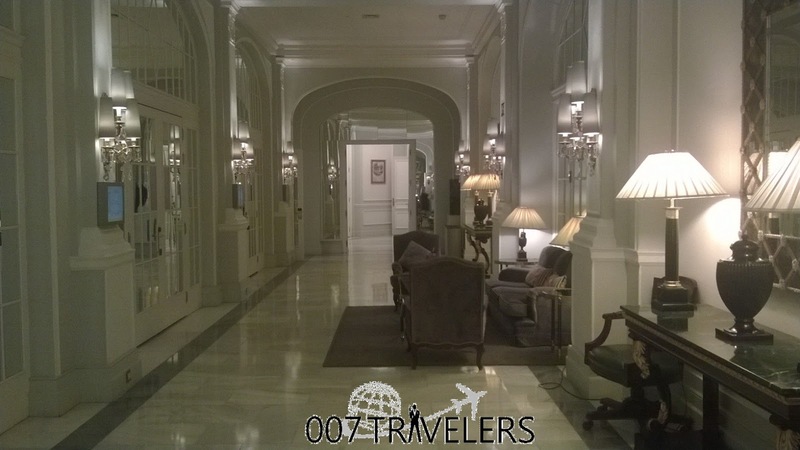 We chatted with the concierge who told us that Mr. Connery had stayed in the hotel a couple of times. 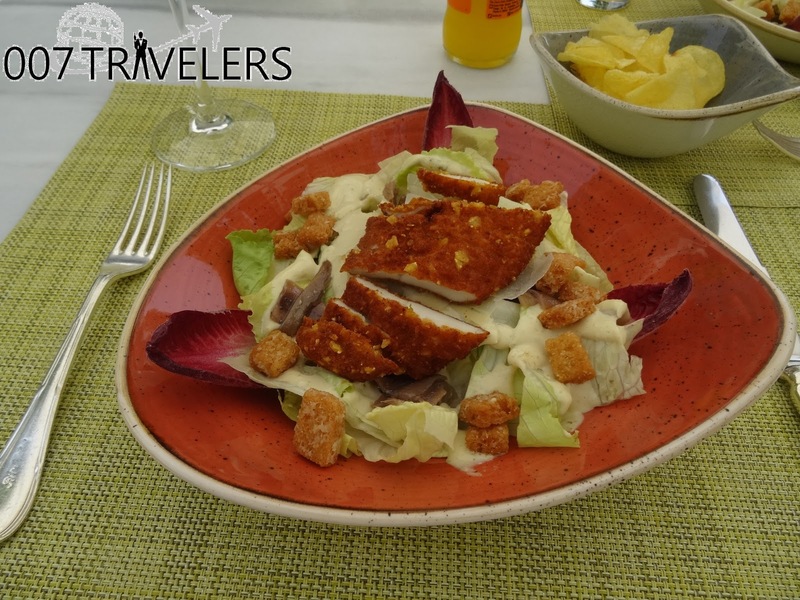 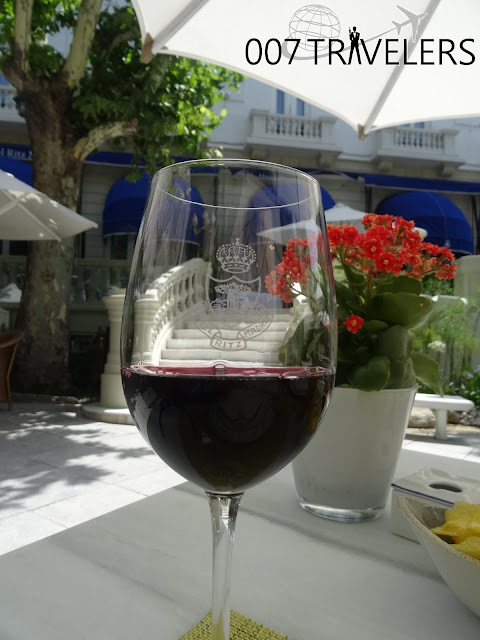 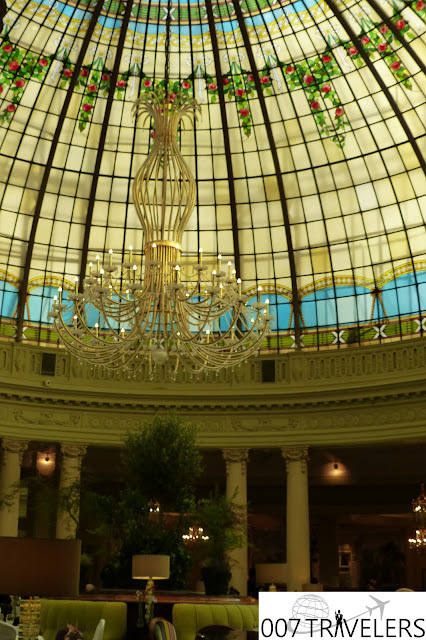 We ate tasty ice-creams (7,27 EUR / each + one bottle of Schweppes Naranja 7,27 EUR) in the hotel's restaurant and it was very similar as Hotel Negresco in Nice, where we visited back in 2013. 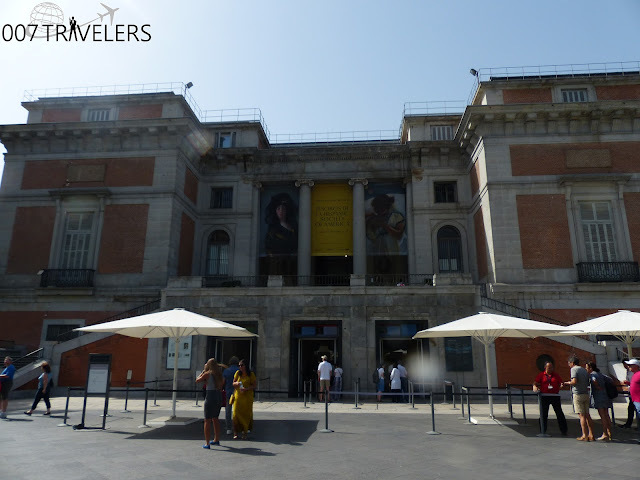 Then it was time to visit the Museo del Prado. The queue was not yet that long (later in the evening it was many hundred meters long) and we were able to get inside within 15 minutes or so. 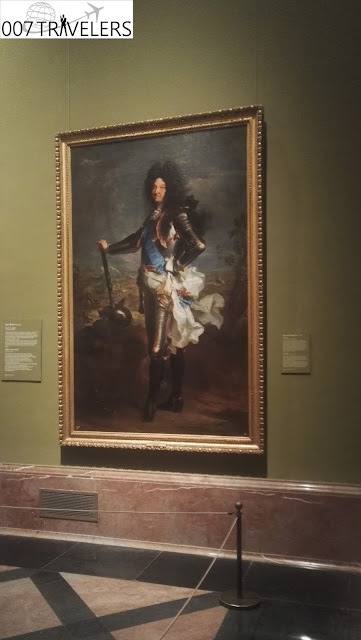 The museum is huge and there are many wonderful pieces of art. 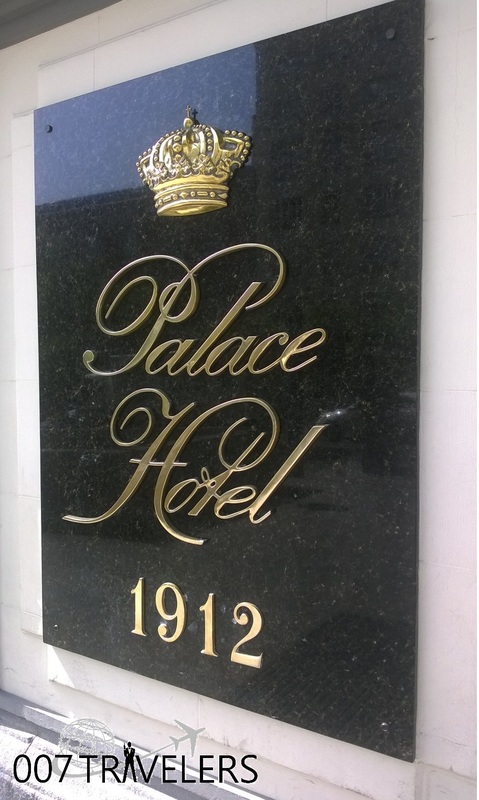 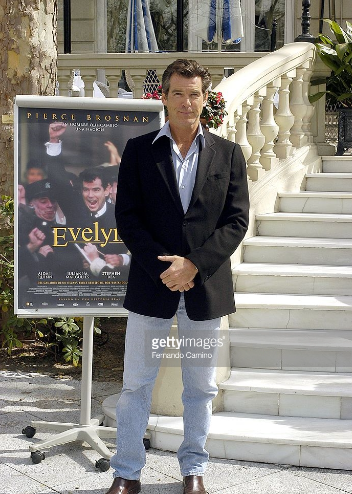 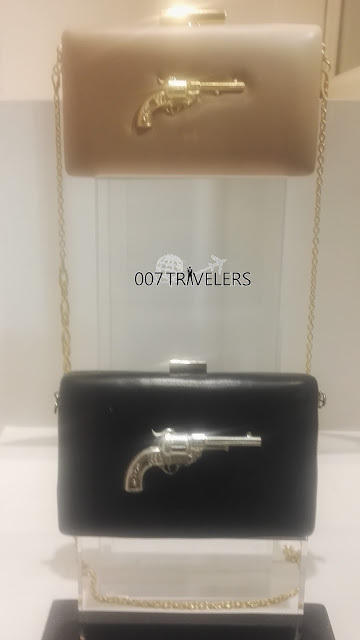 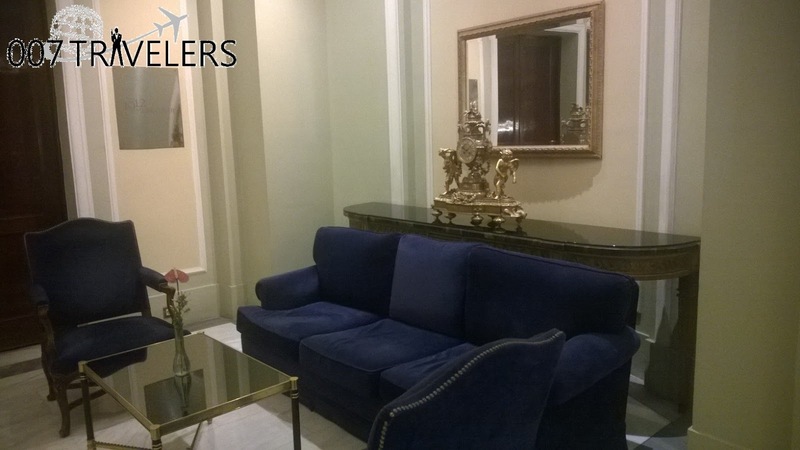 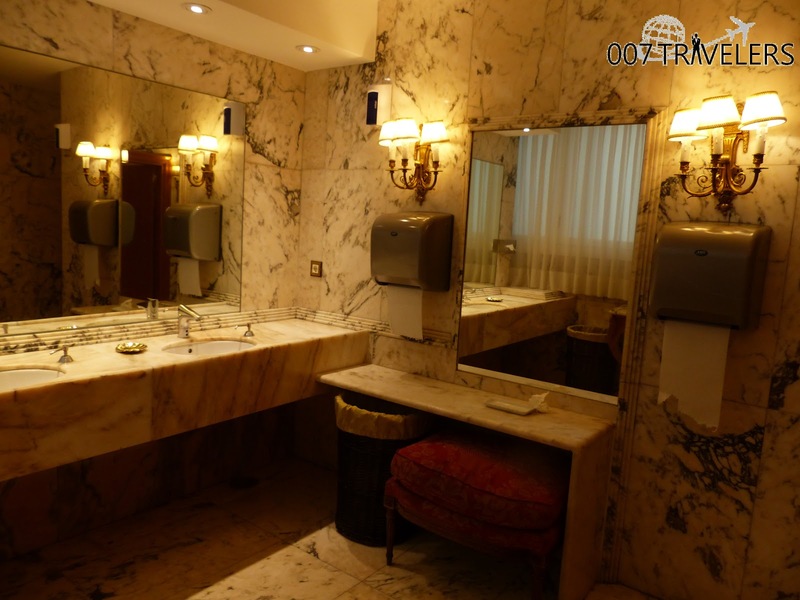 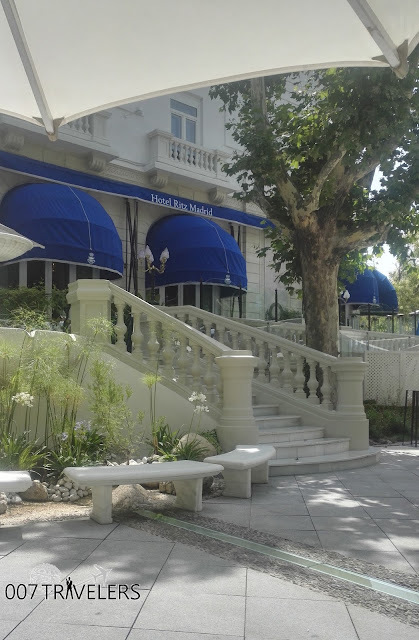 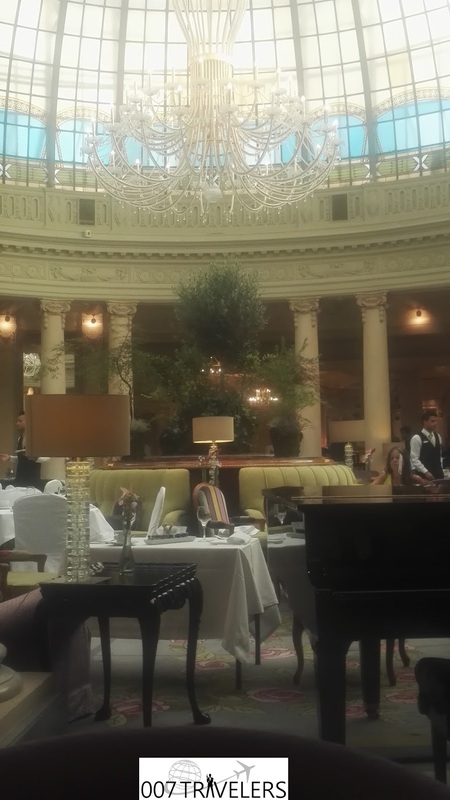 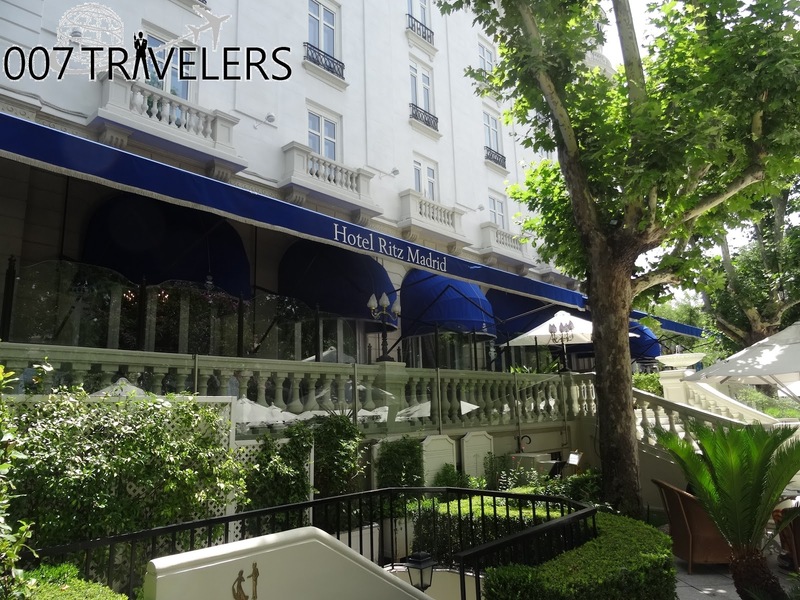 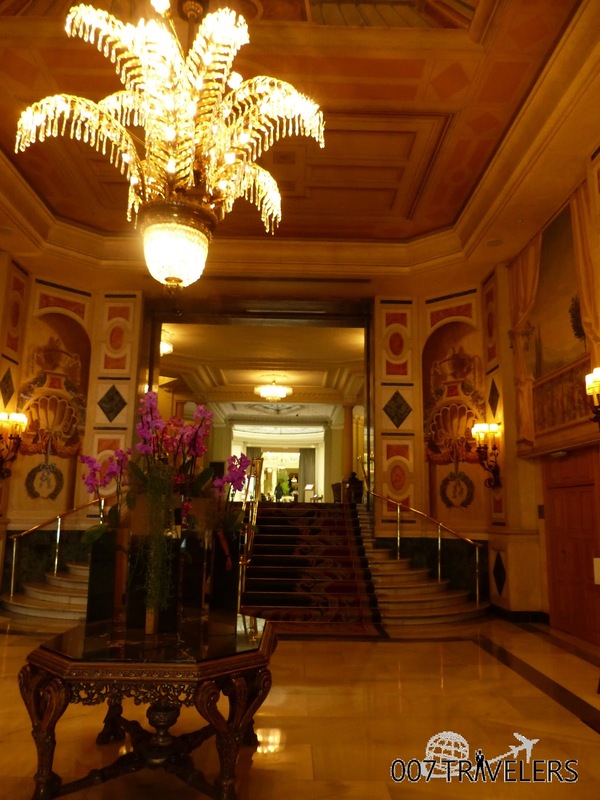 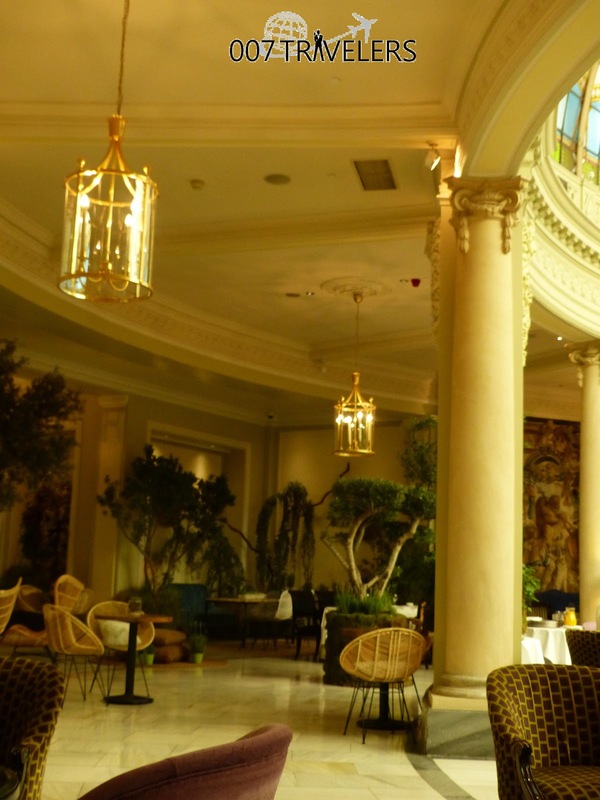 After visiting the museum we continued with Brosnan theme and went to Hotel Ritz Madrid, (Plaza de la Lealtad 5) where Madrid's photo call for Pierce's movie "Evelyn" (2002) was. We ate some snacks and drank refreshments, we both ate Cesar Pollo salads (19.00 EUR / each) and Mika drank one Copa Las Retamas (12.00 EUR) and Pirita had a Fanta Naranja (12.00 EUR) before buying tickets to Hop-on Hop-off bus and in order to see Madrid from the bus. 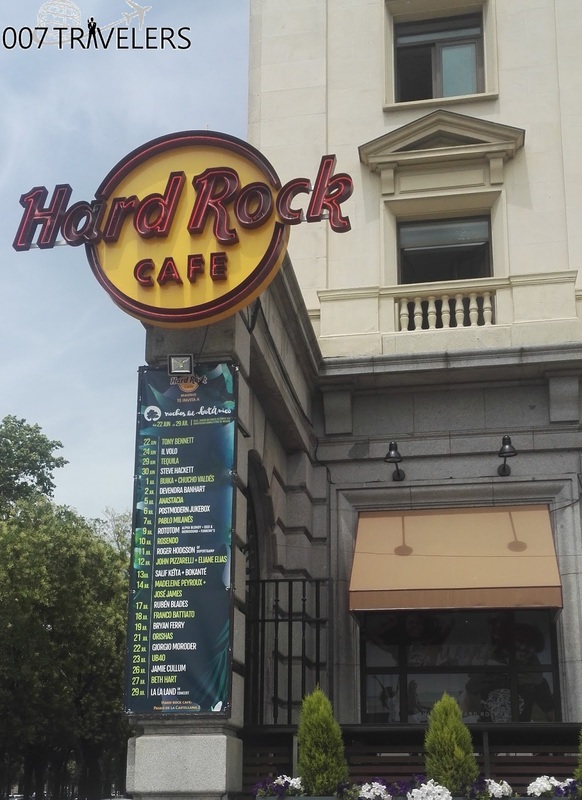 The day became hotter and hotter all the time and we left the bus at bus stop number 4 "Museo de Esculturas" and went to Hard Rock café Madrid to drank some more :). 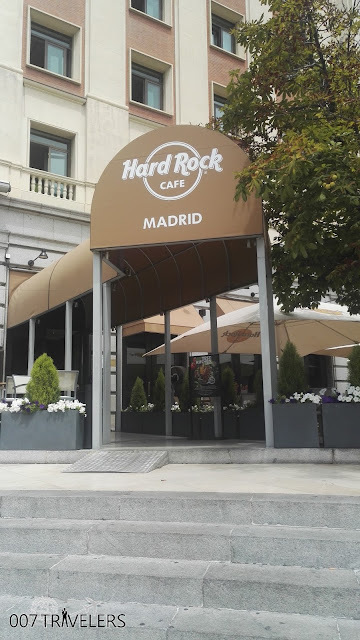 Pirita took a chocolate milkshake and Mika had a Mango Tequila Sunrise drink. 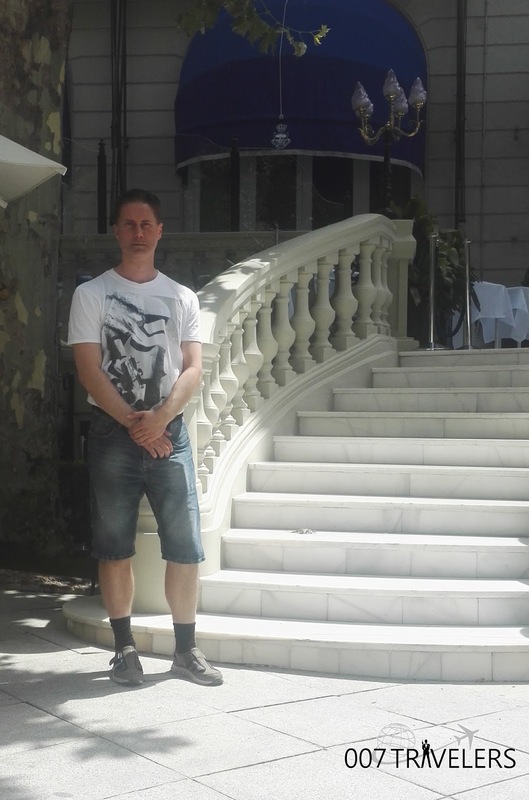 We spent some time in our room drinking a couple of lemonade and beer from the minibar and went back outside to continue the Hop-on Hop off tour. This time we drove the whole tour which was the line number one before returning to the hotel. 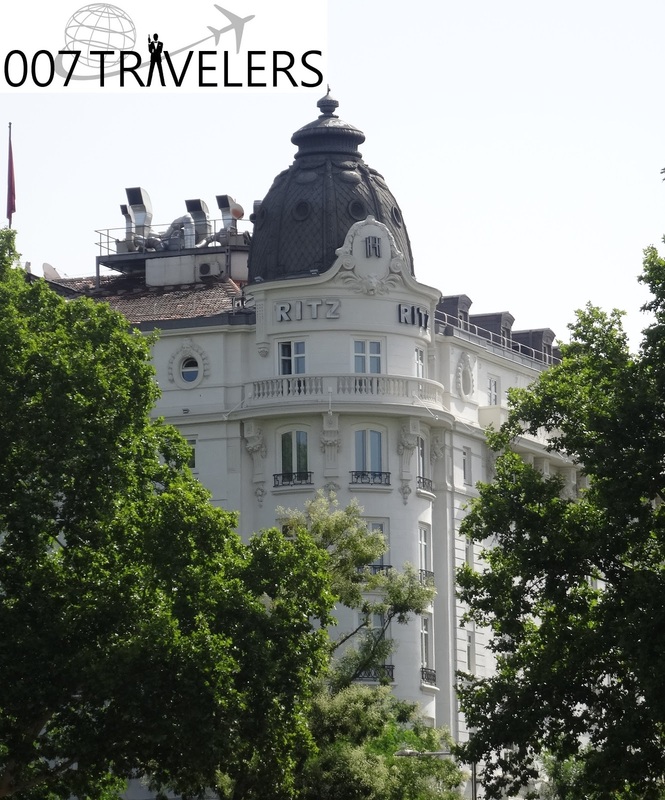 A quick shower and change of clothes and back to road again. 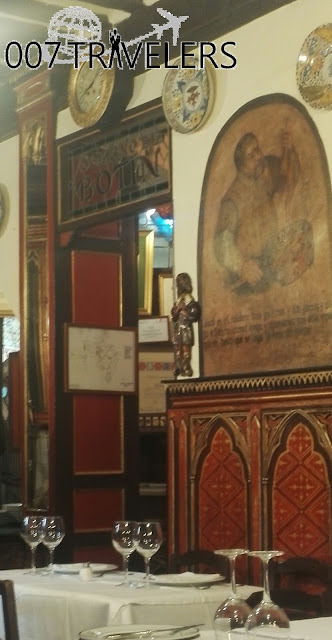 Again, we took a taxi and went to eat dinner to the oldest restaurant in the world according to Guinness book of world records. 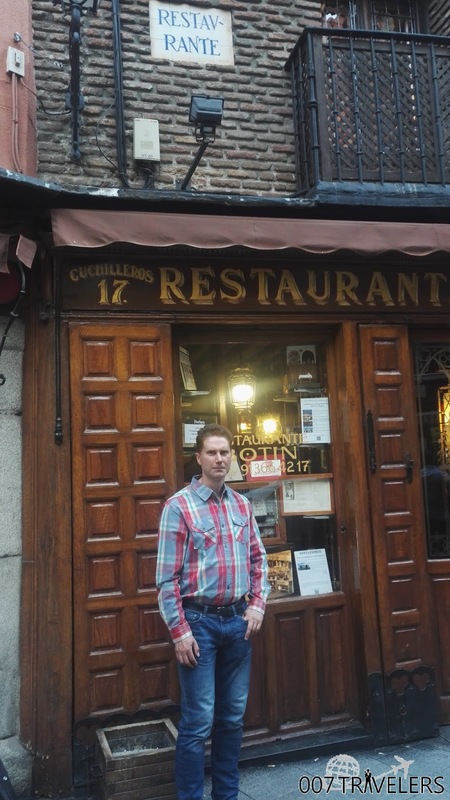 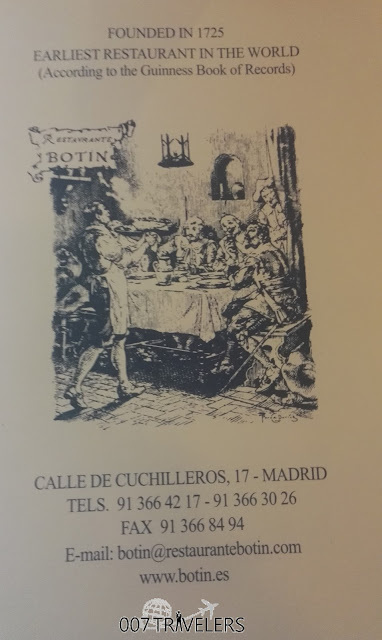 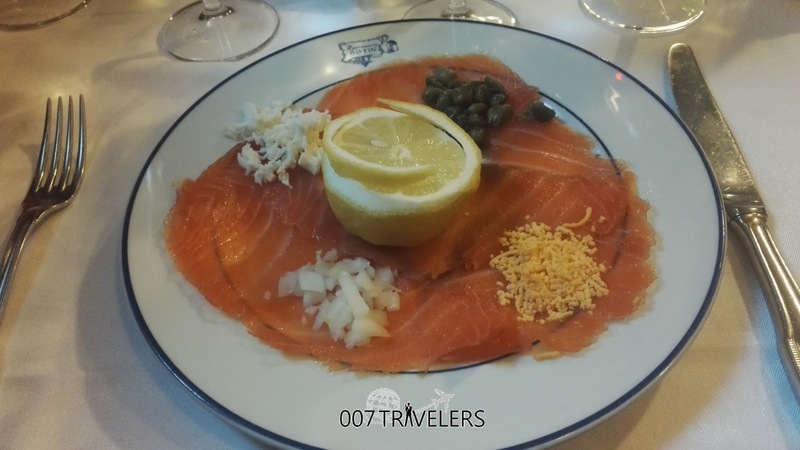 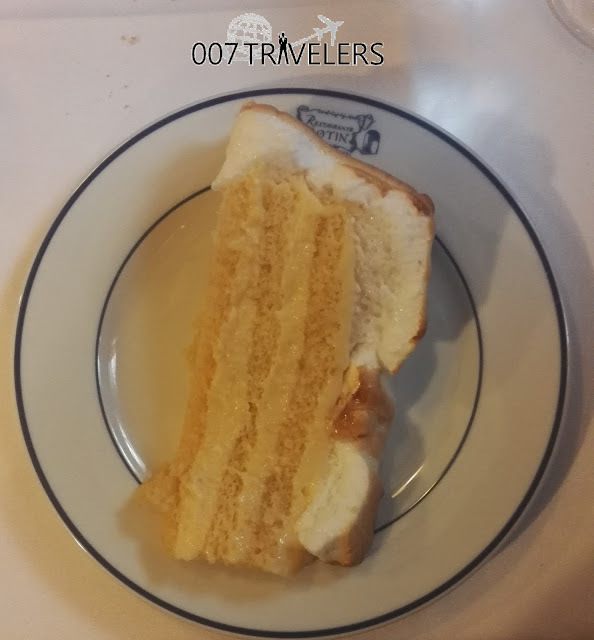 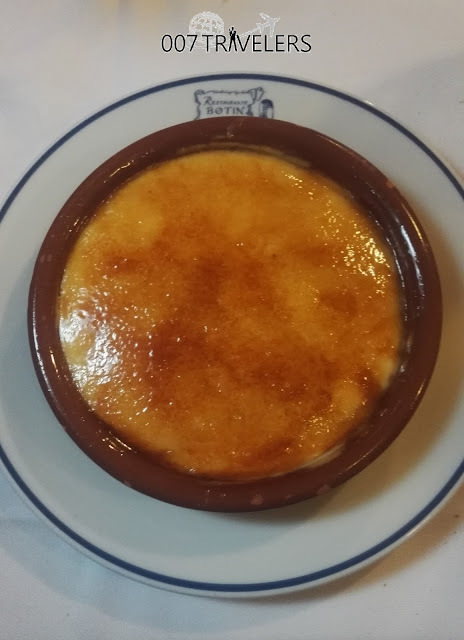 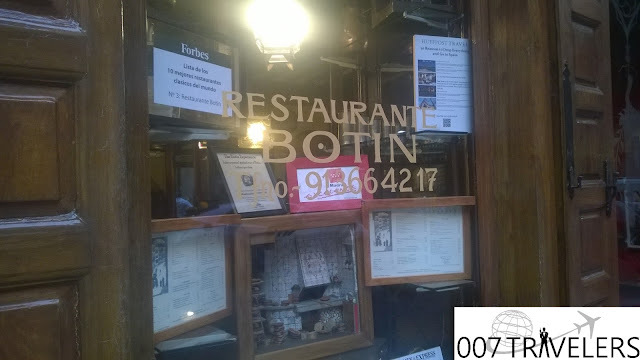 The place is called El Botin and Mr. Brosnan ate there with his mother while visiting Madrid back in 2016. 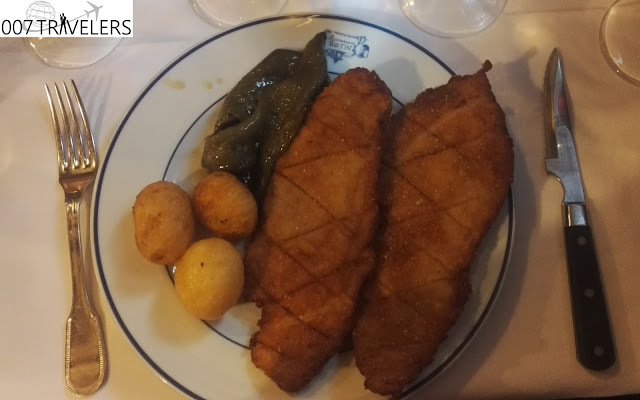 Pirita ate "Salmón Ahumado" (20.00 EUR), Mika ate Veal escalope "Escalope de Ternera" (19.00 EUR), we drank a half bottle of red wine (Vino Tinto de la Casa, 10,70 EUR) and Agua Mineral, 3.00 EUR and we had also desserts "Tarta Botin" (6.60 EUR) and "Crema Catalana" (6.00 EUR). The dinner was splendid! 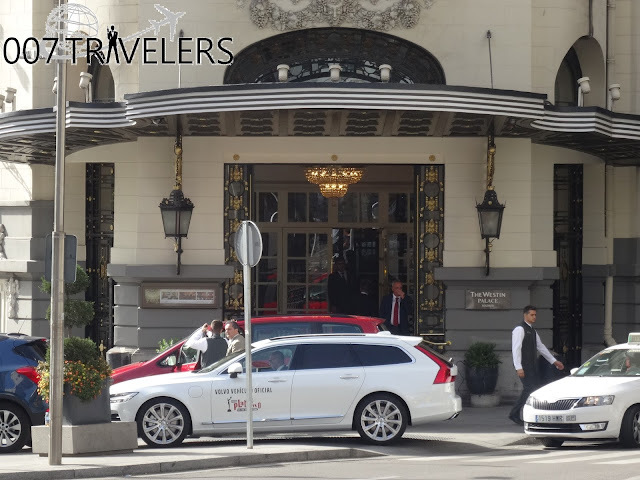 Then it was time to take a taxi back to the hotel and start preparing to the next day. 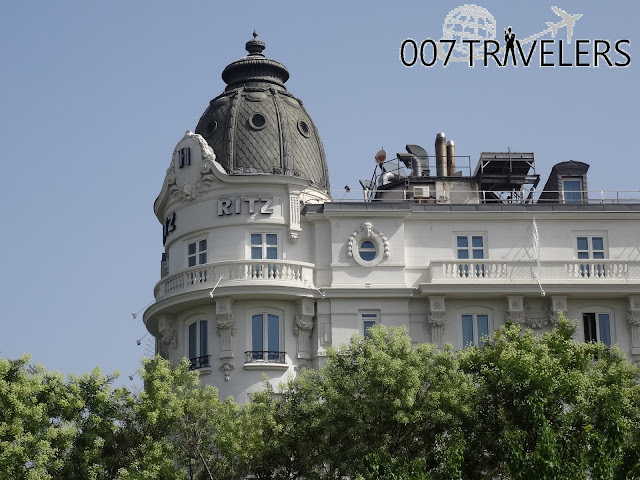 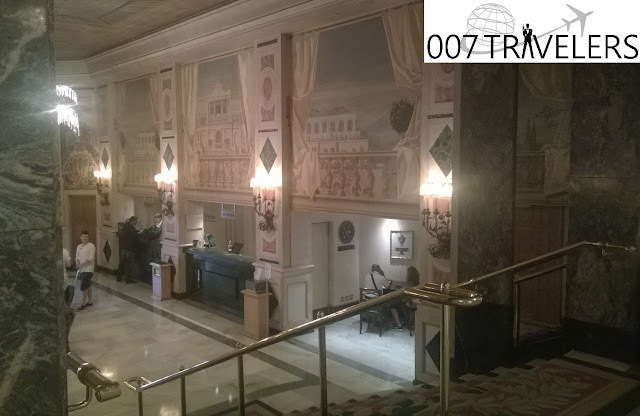 Our plan was to check some luxury hotels where photo calls of different Bond films in Madrid took place.